I’ve been wanting to write-up what I did when I finished the Kokopelli series in SW Utah. It’s a fantastic series… easy walking, nice scenery, but nothing too exotic. 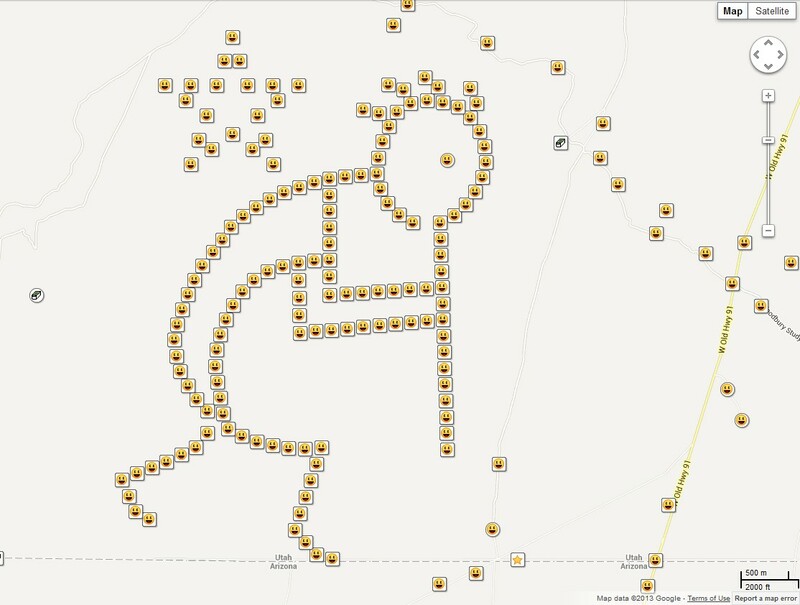 Really, a great great piece of geo-art and easily do-able in a couple of days… depending upon your stamina. So for ‘staying’, I decided to camp in the area. Since the cache is on BLM land, that was easy! 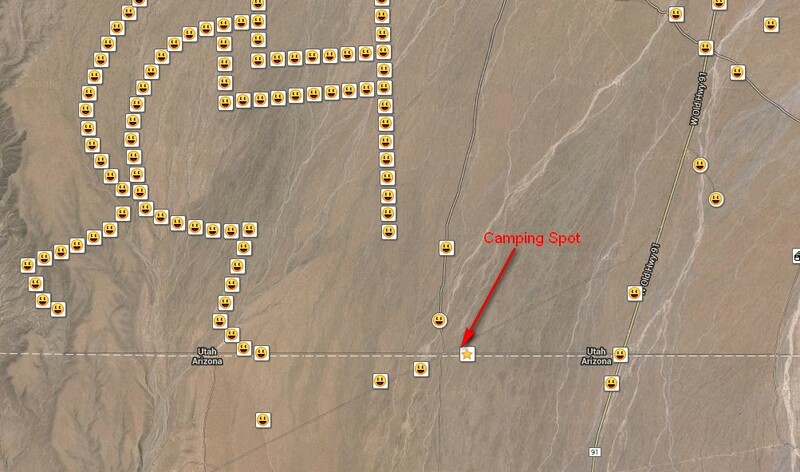 I spent a couple of days with google earth and chose a spot near the feet that I could camp at. From the air it looked like I wasn’t the first, and when I got there I confirmed that others had camped here before me. I checked the BLM site and maps to make sure I was allowed to stay there, and just to be sure I called the St. George office and confirmed that it was ok, but they reminded me that I needed to adhere to fire restrictions. The camping area as you can see, is off of old US-91. 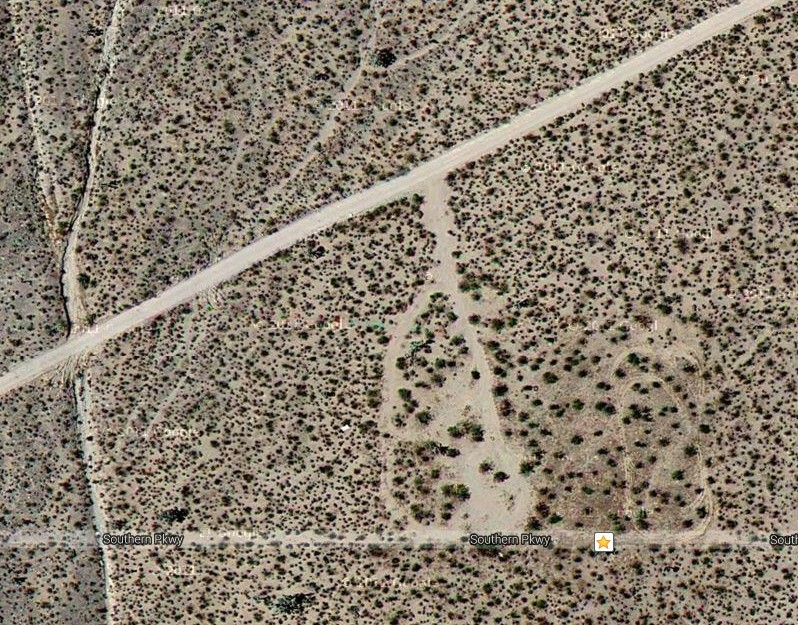 North of the AZ/UT border, slightly more than 3/4 of a mile, is a dirt road on the left (west). It’s hard to spot and I had to circle back a couple of times when I missed it. 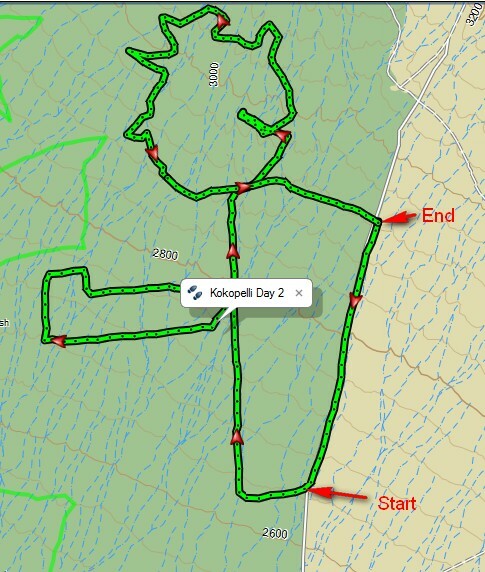 This road is in great shape and goes right under Kokopelli. You’ll see I camped along this road and then used it to get to where I started walking. You could do this in your 2wd minivan or Honda car. I could not find a name for it. On the map, near where I parked is a road going east-west called “Southern Parkway” on the Google maps. DO NOT BE FOOLED! This road does not exist, I don’t understand why it’s on the map. If you use satellite view you’ll see what I mean… there is nothing there. If you feel the need to stay in Utah, consider St. George. No, don’t drive down to the interstate and through the gorge to get there…. use the back road, old Hwy 91! It’s a pretty drive, and depending upon where you stay only 40 or 45 minutes. Once I had a place to stay the next thing was to study the series and decide how far I could walk in one day, and how to walk most effectively. What I didn’t want to do was to have to park by his rifle, and then walk all the way up to his head, just to spend a bunch more hours caching around before walking back to my truck. That could make for some long days! I decided to do the series in 2 days. On day 1, I would begin at one foot, walk up his leg, across his hip, and down the other leg… finishing at that other foot. On day 2, I would drive up the dirt road to the right (east) of the series and park by the rifle barrel. Day 1: On the first day I drove down the un-named road from my camp and picked up a smaller dirt road and eventually parked right under his right food. I walked along a fence to his left foot and started the series from there, walking up his left leg, around his body to his shoulders, across his shoulders, back along his stomach and finally down his right leg to his foot, and my truck. It looks long, but it was easy. All straight line walking for 9 miles… and it took me 7 hours walking slow but steady. 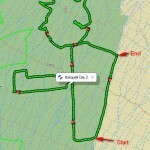 That included stops for breaks, lunch, and to sign 66 geocache logs. 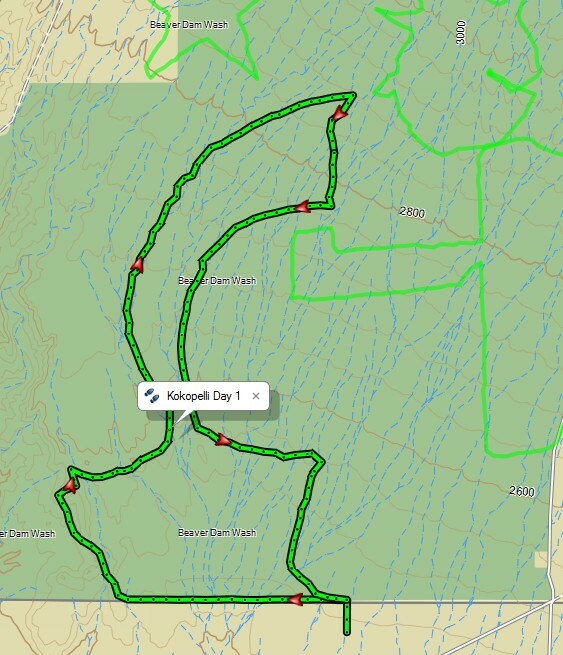 On day 2 I parked where it says start on the map image above, and then walked the 1.4 miles back down the gravel road to my truck, from where it says End. I did it this direction because it was downhill, and along a gravel road. Honestly it was quite an easy walk. On day 3 I did the star. Don’t forget the star! 🙂 The star is just under 4 miles and I did it in 2 1/4 hours. It was easier walking than the rest of the series, but it might have been because I was so excited to finish it up! There was some cell service along the walk but it was spotty and not to be counted on. Take more water than you need. Honestly 1+ gallons is not inappropriate. Consider that each person should carry 1 bottle for each hour of walking, and there are 8, 16oz bottles in 1 gallon of water. If you’re planning on doing this all in 1 day maybe even more water!! Always let someone know where you are, especially if like me, you’re hiking solo. This is an active cattle area, I really did see hundreds of cows… stay out of their way! Smile!! Have fun, and cache on.